You see, last week was a hectic week (by my stay at home Mum pregnant standards). I did 9 hours intense deep-cleaning cardio style housework Monday/Tuesday in preparation for Aaron having his first afterschool friend round play-date here Tuesday evening. Then I was hostess for 3 hours to the Mum, son and younger brother. That would normally mean a slightly tamer day for me on the Wednesday but I had to finish Aaron's bedroom transformation, for a project I am working on with Hillary's Blinds. And, actually, I built the "cube bookcase" on the Tuesday in time for the playdate, so that did take some pressure off Wednesday. 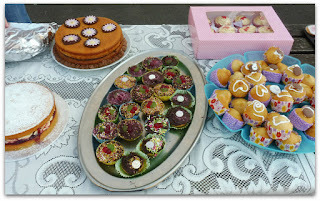 Then Thursday, me, who'd normally make 12 cupcakes a year, made 36 for our school coffee/cake sale. When I get in from the school run, I ALWAYS have a BIG bowl of porridge with Homes Under the Hammer on the TV, but no not Thursday. I knew I had to be at school by 13:30 to set up the cake sale (I'm on our PTA) and the cupcakes wouldn't bake themselves. I started at 09:15 and I think I only sat down for the first time at midday. If you could see how big my pregnant bump is you'd know I was pooped by then. Carrying extra blood and extra weight, I do normally need to sit down frequently, especially after the school run normally. 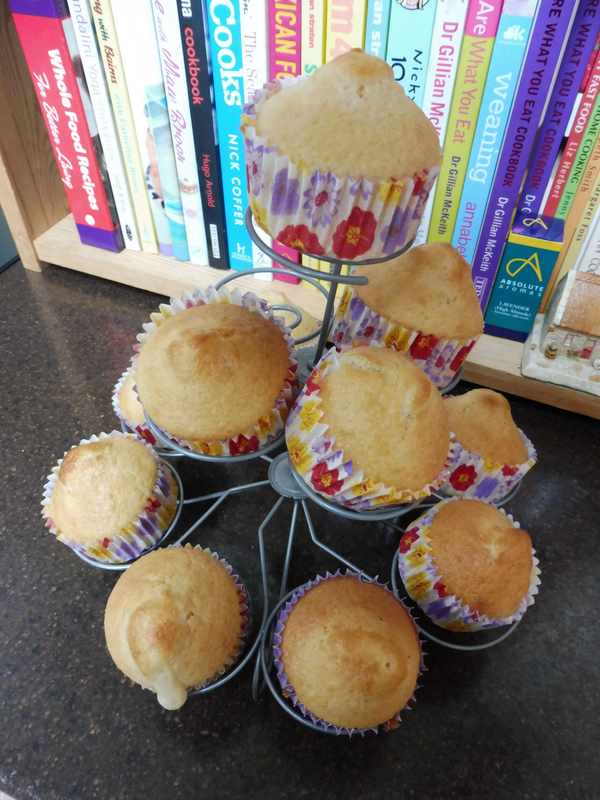 My cupcake tray bakes 12 - as they do - so that was 3 batches of cupcakes, but I was thrilled with them. I iced some of them when cool, but not all, as Mum advised me there'd be some fussy kids who'd appreciate a plain one (and she was right). Friday, we had a PTA meeting in the morning and went on sale with our remaining cakes (we'd made loads) AGAIN Friday afternoon. It was all very worth it and we made well over £100 for Macmillan. It didn't end there as I had to take Aaron to football club (after leaving school after 1600), a further 15 minute walk in addition to the 25 minute walk to school and then he insisted on playing in a playground for over an hour after that. I think it was nearly 8 p.m. when we got home (it was dark anyway). Anyway, suffice to say, it was a hectic week. This is where I shyly admit that I had a PJ day (as did Aaron) SATURDAY AND SUNDAY. Can you believe he even let me? We had SUCH good quality time though it was AWESOME. He knows school is having one for Children in Need and Saturday half way through the day he said "Mummy I thought the PJ day was happening at school" - to which I laughed my head off and said we're having one at home too. Never dreamed he'd let me off having one Sunday too but it just naturally evolved that way. From what I read, essential oils should be avoided in the 1st trimester, but I am well into my second now. The best resource I came across was this "Is it safe to use essential oils while I'm pregnant?" On there it lists the essential oils that are safe and the ones not recommended. On the not recommended list ARE rosemary and juniper*. 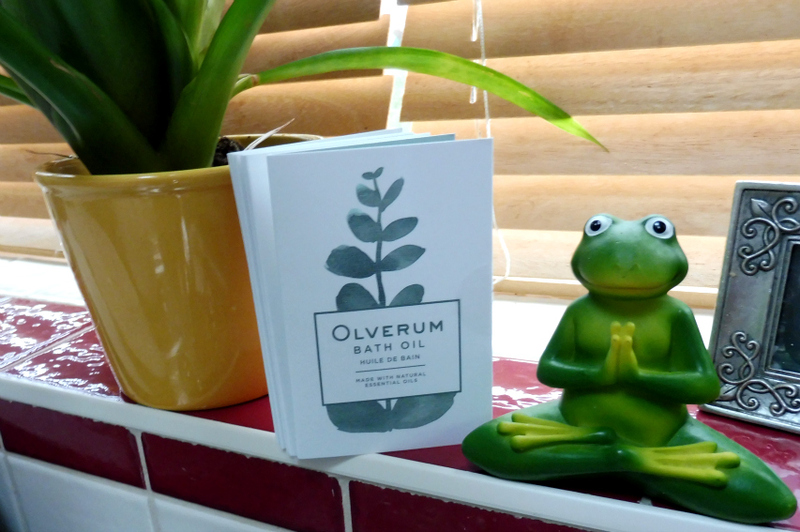 In doing all of this online reading, as an accidental side-effect it meant I also stumbled across all of the coverage that Olverum Bath Oil has had, due to their great PR and as a result literally couldn't wait to have a bath. Aaron was working his way through 8 Spiderman sticker books so I knew I was safe to do so despite it being daytime, but as it was, there was a pile of books on the landing (from the room transformation) and he worked on one of them, just outside the bathroom, whilst I bathed. It was one of those early learning books, where you complete the words etc. Every page gives you the chance to put a supplied "well done" sticker at the bottom once complete and it took the full duration of my bath for him to complete the book. At the end up we were both thrilled with ourselves. I was near enough to answer all of his questions and he was enough feet away, sitting on the landing, that when he was being studious I could deeply relax. Now, onto the bath oil. I have been sent 6 sachet samples. Each one is 5ml and they say that is the correct amount for one bath. I never dreamed that such a small amount could be potent enough, or scent the bath or let alone the room too. From the very second I poured it, the room smelled like a SPA. Honestly I was amazed. This is the thing with essential oils. They can be real or synthetic. They can be pure or impure. They can be potent or.... dare I say crap. With essential oils, quality is EVERYTHING and here you are honestly getting the real deal. I got into alternative therapies and aromatherapy etc... when I was 15 and I am 42 now so I know my stuff, a little, though as a customer, rather than as a practitioner, plus I spent a Summer helping in my Aunt's health food shop, where she stocked Tisserand and Bach Flower remedies and ALL that sort of thing. The smell, the aroma, soothed and relaxed me. The oils soothed away aches and pains just as they promise to do. Any remnants of stress that remained in my body faded away. The bath moisturised me - I could tell from the minute I got out that I would not need to cream myself and now even 3 days later my arms (even elbows) feel like a cross between satin and silk. I found the bath very detoxing so I would not recommend it unless you are prepared to drink a pint of water during or after. With regards to my last point I came downstairs after the bath and I could feel I needed two things. One, fresh air and two, water. I went straight out to the line to hang out washing but did not address the water. About an hour later I was feeling so chilled, I had some chocolate and a dull ache in my head ensued. With all of my history in alternative remedies I knew immediately that this was down to my forgetting to drink water. I used to have a massage therapist visit the office once a week every week, when I worked in Head Office HR as a wellbeing thing for the staff. The practitioners ALWAYS reminded clients to drink water so I should have known this and followed through on it, so that is the main tip I would give you. *I took a chance, as firsly it was only 5ml, secondly, the oils were not alone, and finally I am not using them for prolonged use, but exercise caution if you are wary. The Baby Centre (linked to above) does say that Juniper can effect the kidneys so perhaps it was this that gave me the detoxing effects I felt. Anyway, I am sure there are plenty of non-pregnant people in your life that this would be the perfect gift for and of course NEW MUMS (who are no longer pregnant) are the perfect candidates for a relaxing unwinding bath with all its moisturising soothing effects and this is here NewMumOnline.co.uk after all. 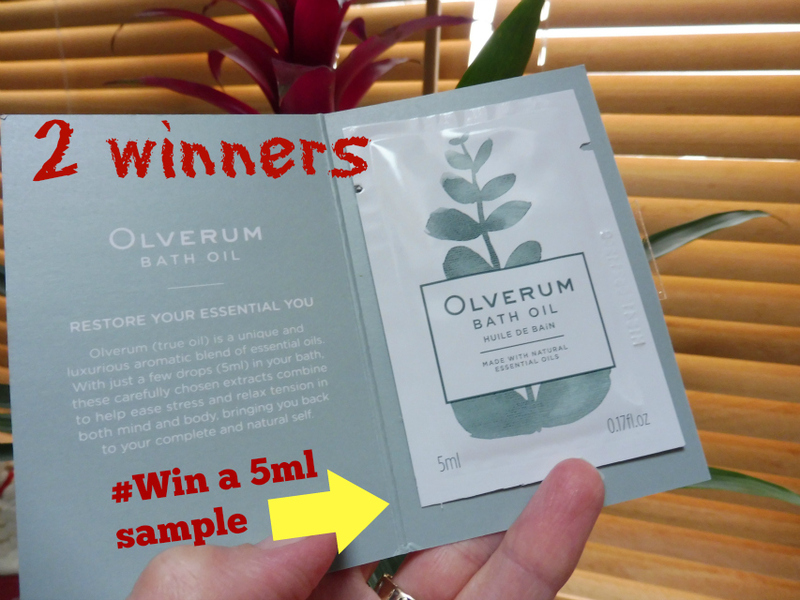 I feel greedy sitting on SIX SAMPLES, so I am going to give 2 away so that you can try before you buy. Plus I don't want to enjoy this amazing product by myself - I want to talk to my readers about what YOU thought of it. Plus if you love it as much as I do I will include it in my Christmas Gift Guide - another bumper edition just like last year's. I do like using essential oils in the bath, but I can get a bit lazy about mixing my own potions, so it's nice to have someone do it for you. Woah, you had a busy week for anyone, never mind when you are carrying another life! This sounds as though it was a lovely treat, and well-deserved. I'm looking forward to seeing the bedroom - we've been doing my little girl's too! I love essential oils too - and baths! I find them incredibly relaxing. Glad they worked for you! I do love the small of essential oils in the bath - these sound so relaxing! SOunds like a busy week! The bath oil sounds fab, I do love a nice smelly bath! I long for a relaxing bath and this looks fab - can you organise the kids to leave me alone to relax too? The bath oils sound wonderful. 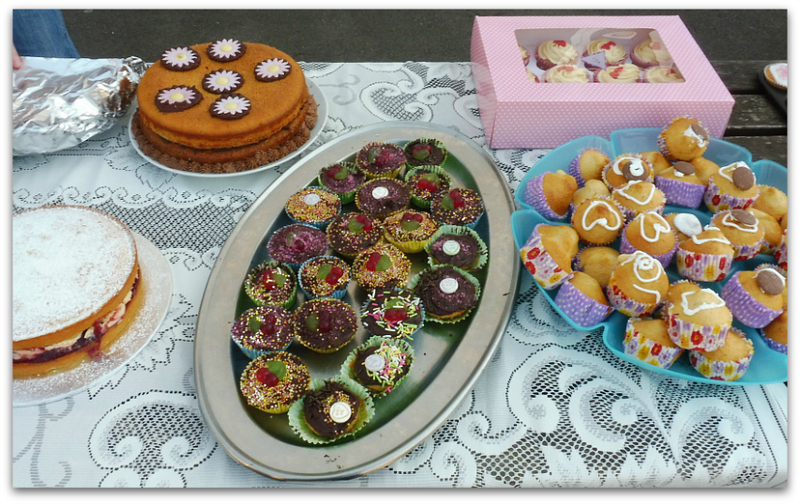 Well done for making so many cupcakes - I always give bought cakes to school events as I'm rubbish at baking! Sounds like a lovely treat and I'm sure it was even better, knowing you'd properly earned it! It sounds like you needed that treat after everything you had done! You've been a very busy bean! I love the idea of relaxing in the bath with oils but I've no idea when I last did that. After I had POD I think - she's nearly five. You've reminded me I must do that again!